CHASING GOALS BUT NEVER QUITE CATCHING THEM? 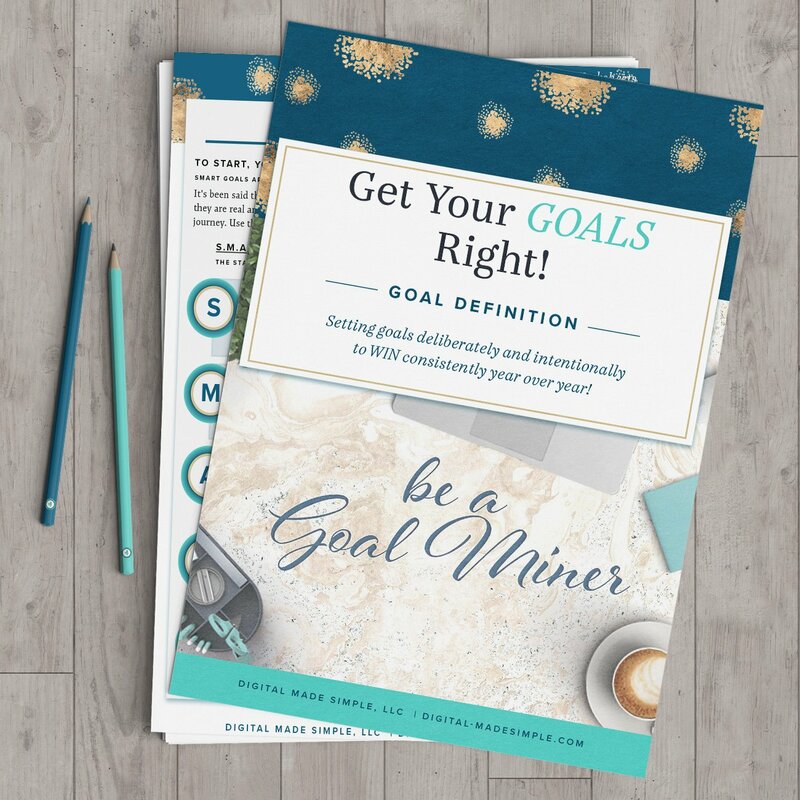 Download the free GET YOUR GOALS RIGHT! Worksheets today to learn my proven method to consistently achieve every goal you set for yourself! do you really look like it? Running a business is complicated and scary. You’ve been doing it on your own for a while but what if you can do more, make more, reach more, but without the headache?!?! and a killer digital strategy. With a simple step by step approach, your business will achieve the success of your dreams. I will examine your entire marketing system and make sure it all works together, looks authentic, and attracts the right clients to your business. What’s the use of making all these plans if you don’t have someone to help you execute them? That’s where I come in. I can design your website, visual identity, and help setup the systems that will attract your ideal clients. Together we’ll create a system for promoting your business intentionally and effectively. A clear strategy with a targeted client process is the key. Custom logo/branding, web design, social media marketing and email marketing will represent your business authentically. I didn’t say it…They did! Are you constantly chasing goals but never quite catching them? Building a business means constantly setting goals. You’ve got the smarts and the desire so why do your goals seem so elusive sometimes? They don’t have to be. Not if you have the right process and mindset to consistently achieve each and every goal you set for yourself! I WANT TO CRUSH MY GOALS…SIGN ME UP NOW! Download my simple e-guide: 7-Deadly Website Sins that Could Be Costing You Sales! You'll see what you could be doing wrong and some quick easy tips on how to make it right. Check Out my most recent Blog Posts! The Why behind defining SMART Goals! Is your website derailing your business? If you build it…they won’t come! My goal is to give small businesses the tools and techniques I’ve learned from working in Fortune 500 corporations who make their brands household names. But I want to do this in a way that’s not overwhelming and is achievable by anyone. Sometimes you just need someone to talk to…some guidance along the way. A 90-minute coaching session with me will give you the clarity you need to understand your next steps and some key answers to your questions when you just don’t know where to begin. Book Your Coaching Call Today! You've Got the Right Idea! Once you add your info below, you'll receive the GOAL DEFINITION WORKSHEETS!. With this fantastic tool you can make sure your goals are clear, defined and on point so that achieving them will be a breeze! EU residents: by filling out this form, you agree to Digital Made Simple, LLC having and using the information contained in it for its own business purposes; you may request the deletion of this information at any time, per the GDPR.